Super Mario Odyssey, the latest platform game starring the popular Nintendo mascot, is a massive game filled with content, but plenty of unused stuff has been discovered in the game these past few months. Recently, a brand new video has been released online, showcasing unused content found in the game. Some of the costumes are clearly unfinished, but most are actually fully working, so there’s a good chance that they will be released officially in the future. HUGE thanks to my friend GRAnimated for helping me learn how to edit the Super Mario Odyssey save files! Without him, I couldn’t have recorded any of this! If you’re a fan of platform games, you definitely need to get Super Mario Odyssey, as it’s not only one of the best 3D Mario games ever, but also one of the best platform games released in recent times. Super Mario Odyssey is the best 3D Mario game. It just is. Level design, the way Mario moves and jumps, collectibles, it’s all just… Practically perfect. This is the Mario game I’ve been wanting for so long, and I already know I’m going straight for 100% completion. 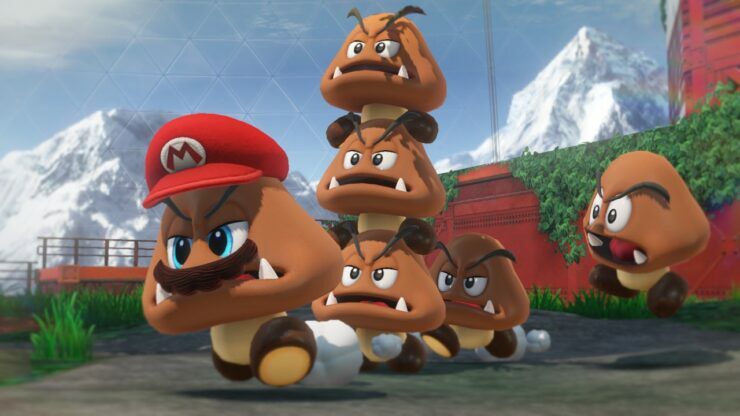 Super Mario Odyssey is now available in all regions exclusively on Nintendo Switch.